BJP from discipline cadre is finding its frontal organisation in midst of irrational activities with copy right on Hindutava ideologue. 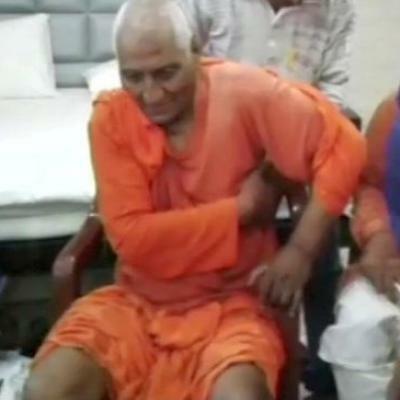 Social activist Swami Agnivesh today alleged that he was attacked by Bharatiya Janata Yuva Morcha and ABVP members at Pakur in Jharkhand for his “anti-Hindu” stance. He was in Pakur to take part in an event in Littipara of the district. “As soon as I came out of the venue, BJYM and ABVP activists attacked me without any provocation. They alleged that I was speaking against Hindus,” he told PTI. “I thought Jharkhand was a peaceful state, but my views have changed after this incident,” he told. A video of the alleged attack with a large crowd thrashing the social activist and his supporters did the rounds of social media and TV channels. Asked about the incident, Superintendent of Police, Shailendra Prasad Burnwal said he did not have any prior information about Agnivesh’s programme in the district.